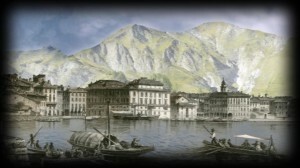 A new project developed by Capitale Cultura International and ArtGlass and promoted by the Historical Archive of the City of Lugano and the Lugano Tourism Association, in collaboration with LAC- Lugano Arte e Cultura. 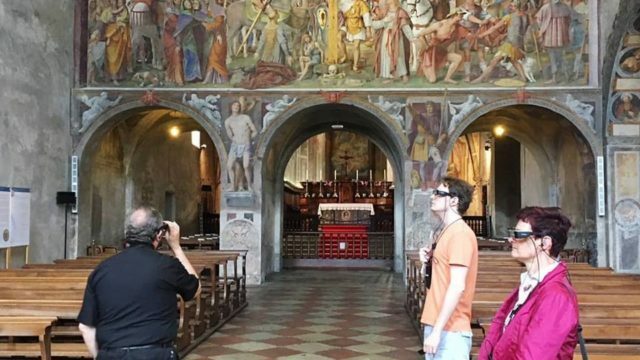 From June 16, ARtGlass Experience comes once again back in Lugano, after the success achieved by the previous experiences: Villa Ciani, Cantonal Library, the Swiss Customs Museum and the Tremona Castello Archaeological Park in Mendrisio. The aim of this project is to literally give life back to Santa Maria degli Angioli’s neighbourhood with the Augmented Reality system, turning it into a “time machine”. By wearing the glasses equipped with the special technology patented by ARtGlass, the visitors will discover the historical-architectural evolution of the area which surrounds the LAC Cultural Centre: Santa Maria degli Angioli Church, the cloister of the Franciscan convent, Palace Hotel, the old funicular area and the new cultural centre itself. This initiative integrates the touristic and cultural city offer: tourists will enjoy the surrounding amazing landscapes but at the same time it will be possible for them to discover the history of this place; meanwhile, the local population will rediscover the city in an unedited light. This area is suitable for this precise purpose because it offers plenty of tales to tell: Angioli Church is one of the most significant monuments of Italian-speaking Switzerland, meanwhile the Palace Hotel had been a very important place to the cultural and literary world of the 19th century and it also had welcomed Nietzsche. Anahì Traversi’s voice, a local actress, accompanies this trip into the hearth of this city corner. The Augmented Reality analysis of the Bernardino Luini’s magnificent cycle of frescoes, an absolute masterpiece of Renaissance painting, is very engaging. 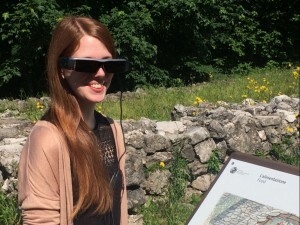 The tour is available in 4 languages (Italian, English, German and French) and the glasses are rentable at the LAC Shop for 10 CHF, where the staff will explain to the visitor how to use the devices. On days with evening performances: Box Office closes at 09:00 pm, the Arts Centre closes half an hour after the end of the performance. For Monday evening performances, the ticket office opens 90 minutes before curtain time. The new #ARtGlassexperience at Villa Ciani has been presented to the media and the public: an exciting journey across the past and the secrets of one of the most important buildings in #Lugano, whose history is intertwined with that of Ticino and the unification of Italy. 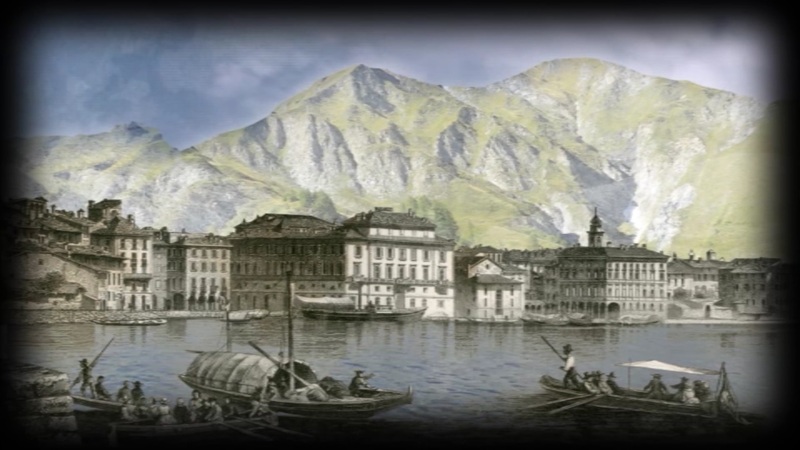 The first #Augmentedreality experience in a Swiss historical residence by ARtglass® with Capitale Cultura International, with the scientific curation of the Historical Archives of Lugano. An absolutely innovative and unique project in Switzerland. A Medieval archaeological park that becomes a time machine, thanks to ARtGlass Experience. This happens at the Archaeological Park of Tremona Castello (Mendrisio), which from May 25th can be visited with smartglasses customized with the ARtGlass® proprietary technology. Visitors will move across the village as it used to be in the Middle Age, thanks to spectacular and immersive 3D reconstructions. They will discover the houses, the tower and the gardens, meeting typical characters of the era, from the blacksmith to housewives. 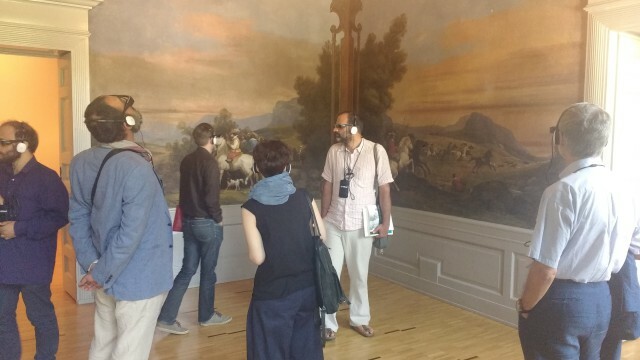 The project, promoted by the Municipality of Mendrisio along with Mendrisiotto Turismo, was developed by ARtGlass and Capitale Cultura International, with the scientific coordination of Aram and the scientific support of Supsi. 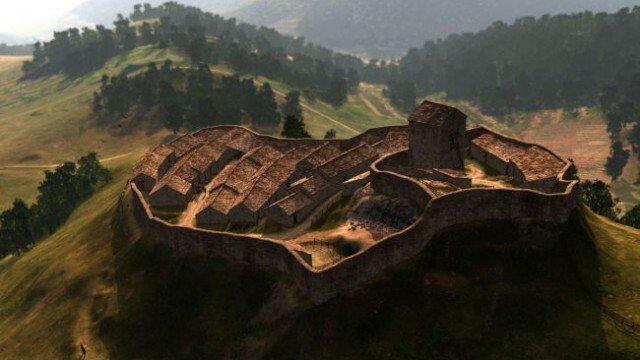 It is a world première, since a medieval village, completely excavated by archaeologists, had been virtually rebuilt yet through Augmented Reality. Multimedia glasses can be hired at InfoPoint that will be open to the public at the former Tremona’s municipal building.